I was first introduced to the term’s fixed and growth mindsets by Joshua Medcalf. By nature I’ve always had a growth mindset…I can’t stand complacency, am always pushing forward and have never viewed obstacles as anything but a minor bump. 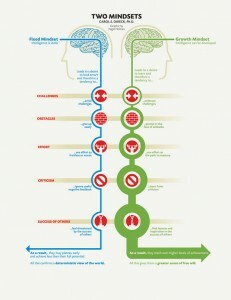 Here’s a nice infographic on fixed and growth mindsets. The ways to loose weight beautiful thing is that mindset is something you can control.